It seems whistleblowers are not only being discouraged but disappearing. Or should that read forcibly removed? 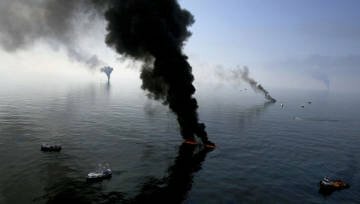 BP Disaster = Catastrophic Climate Change? Forget freedom (your government already has). This begs the question: what exactly are they trying to hide?